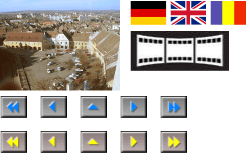 We have great plans with our www.sibiu.org, but just right now, we start only with the city panorama photos. City panorama taken from the roof of the hotel Continental in the center of Sibiu. See all the town and the landscape around Sibiu in 3 panorama pictures.